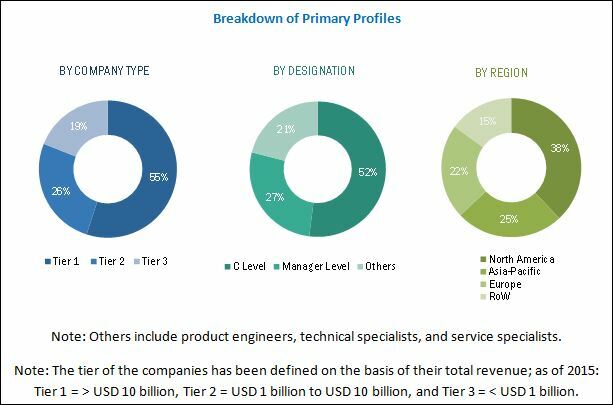 [141 Pages Report] The global screw compressor market is estimated to be USD 7.99 Billion in 2016, and is expected to grow at a CAGR of 6.62% from 2016 to 2021. 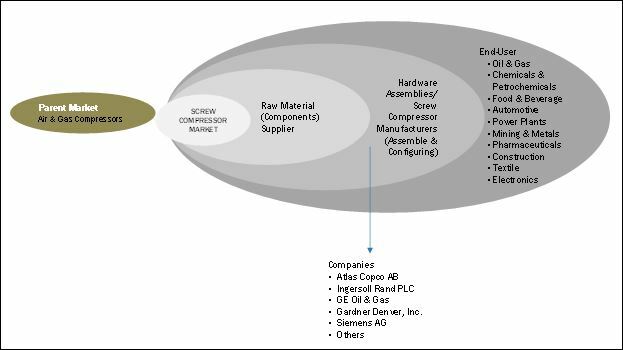 Increasing demand for energy-efficient compressors and rise in energy consumption are major factors driving the screw compressor market. This research study involved the use of extensive secondary sources, directories, and databases such as Hoovers, Bloomberg Businessweek, Factiva, and OneSource to identify and collect information useful for a technical, market-oriented, and commercial study of the global screw compressor market. Primary sources are mainly industry experts from core and related industries, preferred suppliers, manufacturers, distributors, service providers, technology developers, standard and certification organizations of companies, and organizations related to all the segments of this industry’s value chain. The points given below explain the research methodology. 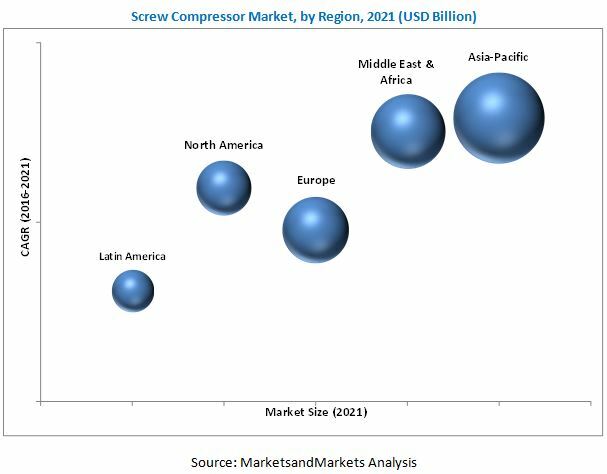 The ecosystem of the global screw compressor market starts with the raw material suppliers/component suppliers. The major raw materials used for manufacturing compressors include castings, aluminum, and steel. The components used are bearings, crankshafts, switches, gauges, rotors, and housings. These components are then assembled by the OEM to form the final product that is screw compressors. This stage is followed by the distribution stage, following which the product is provided to various end-users such as food & beverage, automotive, mining and metals, oil & gas, power plants, chemicals and petrochemicals, and so on.